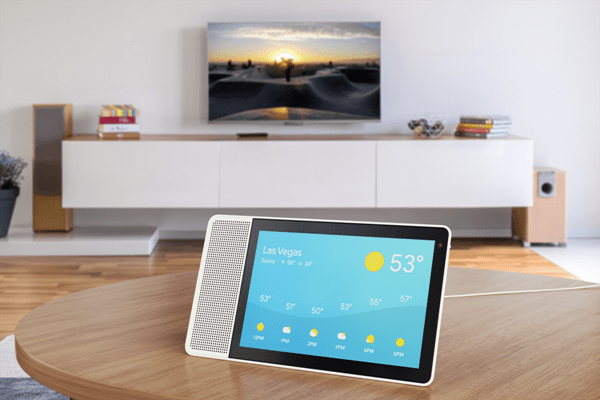 Lenovo and Google team up to launch new Lenovo Smart Display with the Google Assistant built-in. The product is similar to Amazon Echo Show. Lenovo Smart Display comes with 8-inch HD and 10-inch Full HD touchscreen display wrapped in a minimalist design that blends with your home. The device is available in soft grey and natural Bamboo color, both the color is designed to match glass or granite tabletops. The device can be positioned both horizontally or vertically. And when not in use, the device turns into digital photo frame which shows the selected pictures from Google Photos. With the Lenovo Smart Display, the user can get the latest weather update, traffic update and meeting schedule and you can also watch YouTube videos or do Google Duo video call to friends. With the help of Google Assistant, the user can also set up the routine to do the certain tasks at given time.